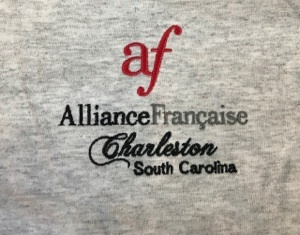 The profit goes to La Petite École de Charleston. 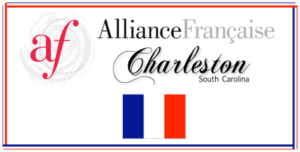 The profit goes to our French Language shcool. 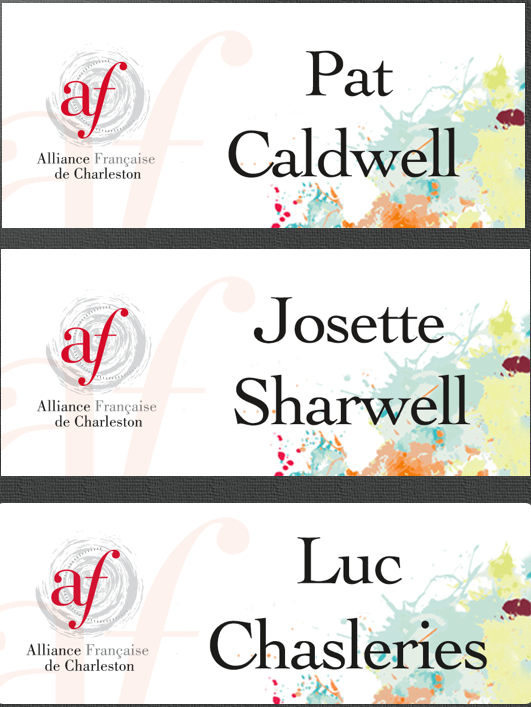 We are pleased to announce the availability of Alliance Française de Charleston name tags designed by our own Luc Chasleries. They are of solid enamel on metal construction and measure 3"x1". 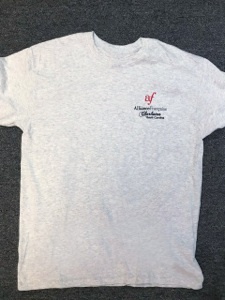 Since they are secured by a magnetic backing, there is no need to be concerned about multiple pin holes in your garments resulting from multiple use. The only cautionary note is that due to the strength of the magnet, it would be wise not to keep them too close to your smartphone and/or tablet. The cost for these badges is $15 for one and $25 for two. 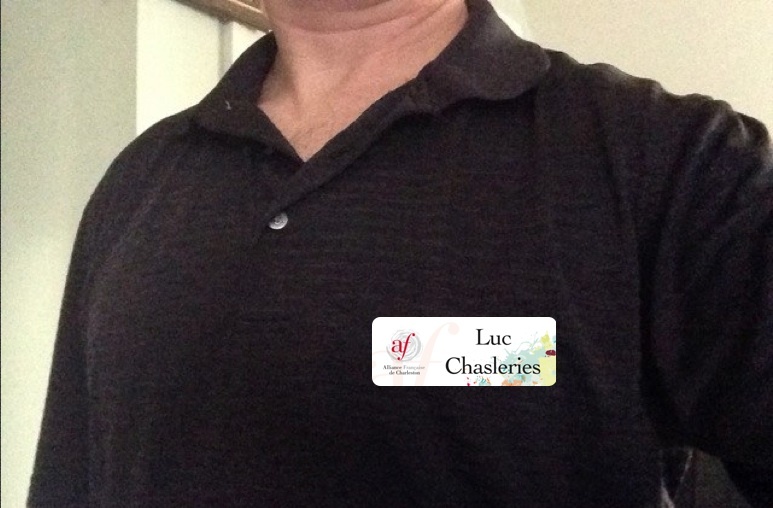 If you are interested in purchasing a name tag, please fill out the form below. You can pay online via the PayPal button or send a check to the address mentioned above.